Most people who visit the dentist’s office regularly undertake procedures that fall under the umbrella of general dentistry Santa Clarita. In a nutshell, general dentistry involves preventive dental procedures in a medical field where two-thirds of all dental procedures are either preventive or diagnostic in nature. As explained in the earlier section, the general dentist can perform a dental filling which is a type of restorative procedure. Restorative dentistry is performed to salvage damaged teeth that are a result of decay or trauma. Smile Care Valencia is accustomed to restorative procedures other than dental fillings, e.g., veneer placement and composite bonding. 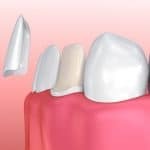 Bonding involves the use of composite resin to correct chipped and broken teeth while veneers, thin pieces of porcelain or composite resin, are glued to the tooth surface for the same purpose. If the tooth has sustained too much structural damage and needs to e removed, the general dentistry Santa Clarita specialist will perform the extraction and place dentures. Other complex restorative procedures like dental implants might require a referral to an oral surgeon. Preventive dentistry is a mainstay of general dentistry with procedures that help avoid oral diseases and maintain overall health. Of course, the best way to prevent oral infections is to brush your teeth at least twice a day and floss daily. On top of this, periodical dental visits allow the general dentist to check on your oral health regularly. Dental cleaning will prevent the accumulation of hard tartar in unreachable crevices in between the teeth. Diagnostic procedures such as x-rays and oral cavity examination will help prevent gum disease and can help in early detection of cancerous growths in the gums and cheeks. Additionally, the dentist can apply sealant and dental crowns to prevent further tooth decay after cleaning out the affected tooth. It is important to be proactive when choosing a general dentistry Santa Clarita clinic and knowing the requirements that general dentists need to meet is the first step. All dentists have to undergo undergraduate education in related fields at an accredited institution. Accreditation is done by the American Dental Association which is the board that licenses qualified dentists. 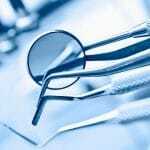 The dentists should also fulfill state requirements including continuing education and testing in order to get state approval to practice within the confines of the state boundaries. After basic training, dentists usually attend additional specialized training, e.g. cosmetic surgery or maxillofacial surgery. How the Teeth in one day Procedure Works?